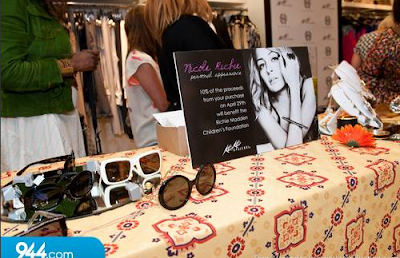 Nicole Richie attended an instore event at Koko & Palenki (29th April) to promote her brand House Of Harlow 1960. Nicole Richie wore a peach vest over a Winter Kate cami and light washed denim jeans. Nicole worked the milkmaid braid look and she accessorised with House Of Harlow 1960 jewels. Click here to read a small interview with Nicole Richie at Koko & Palenki.